Non-melanoma skin cancer (which includes basal and squamous cell carcinoma) is the most common form of cancer worldwide—in the United States alone, more than 5 million people are treated for skin cancer per year. In fact, there are more cases of skin cancer diagnosed annually than breast, lung, colon and prostate cancer diagnoses combined. As rates of skin cancer diagnoses in the U.S. continue to rise, and the Baby Boomer generation reaches late middle-age, the role of radiation therapy in the treatment of non-melanoma skin cancer has become more important. Radiation therapy may be given as a primary treatment or as an adjunct to surgery for squamous cell and basal cell carcinomas. At SERO, we work closely with our dermatologic surgical colleagues to diagnose, plan, and execute the best treatment approach for each and every patient. For non-melanoma skin cancer, radiation therapy can be delivered with superficial penetrating electron beam or orthovoltage beam. These technologies deliver precise doses of radiation that can penetrate in shallow, highly targeted areas, making them ideal for treating cancers of the skin. Radiation provides a nonsurgical approach that requires 15-minute sessions daily for three to five weeks to deliver the treatment. The tumor will slough off during this period along with some adjacent normal skin, but these areas will generally heal with new skin with a smooth surface in the ensuing two to six weeks. Although radiation therapy requires more visits that surgery, there is no need for anesthesia or cessation of medicines that might cause complications during surgery. Treatments are brief and painless. Radiation may also be used following surgery for high risk squamous cell and basal cell lesions that have close positive margins, are large, include nerve invasion, have a high growth rate, or include the possibility of nodal involvement. Radiation used after surgery improves the control rate beyond surgery alone in these high risk scenarios. As radiation oncologists, we coordinate with the physicist and treatment planning team to personalize the therapy to cover the exact depth and perimeter of the skin cancer with a very small border of normal skin. This will effectively eradicate the cancer while disturbing as little normal tissue as possible. Generally, photos are taken before, during and after the treatment for documentation and to aid in follow-up. SERO has a long history of treating skin cancers given the high rate of skin cancer in the Carolinas and our greater than 30 year history of serving this region. Challenging and difficult cases are frequently presented in tumor board forums with many cancer specialists present to aid in acquiring the most current information available. Second opinions and multidisciplinary panels are so vitally important yet easy to obtain for all challenging skin cancer cases. If you’ve got basal or squamous cell carcinoma, talk to your doctor about the options that are best suited for your particular case. Several highly effective treatments are available, and your best choice will depend on your circumstances and preferences. Radiation therapy, often referred to as radiotherapy, is a medical technique used to treat, control, and/or cure certain kinds of cancer by delivering invisible rays of high-energy radiation into malignant cancer cells. This process works by damaging the DNA inside the cell, which causes the cell to die. Radiation therapy can be used as a curative treatment for many different kinds of cancer, especially when the cancer is localized in one area of the body, such as basal cell carcinoma, and has not yet spread to other areas. 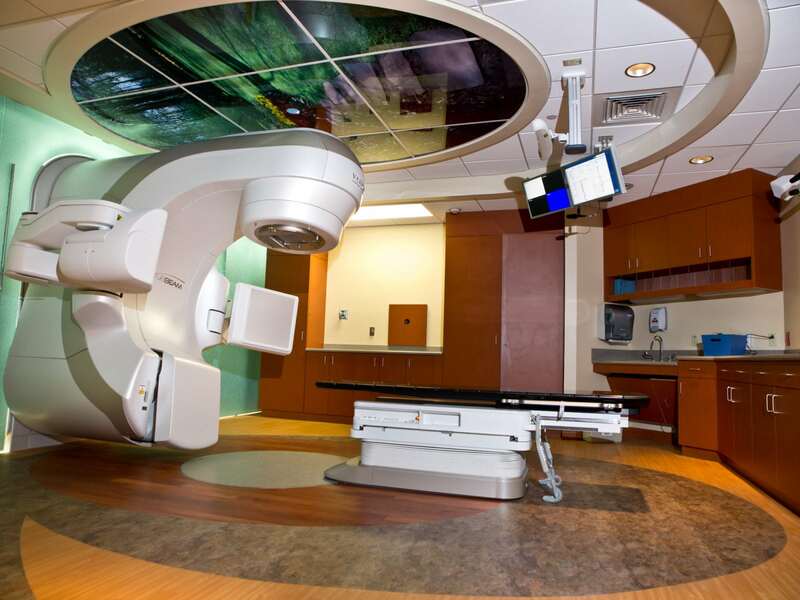 Radiation therapy is also commonly used as an adjuvant therapy. Adjuvant therapy refers to medical treatments that are given in addition to the primary or initial type of treatment in the hopes of optimizing its effectiveness. For example, a patient with cancer that has spread to multiple parts of the body may undergo chemotherapy to attack the disease as the whole, while using radiation therapy to target specific tumors or clusters of cells. When should I consider choosing radiation therapy for skin cancer? What are the benefits of radiation for skin cancer?